cove.tool allows architects, engineers, contractors, and owners to save money, comply with the latest energy codes, and make effective design decisions. This plugin saves your time by allowing you to export building geometry to existing cove.tool projects in the cloud. The cove.tool web app is available as a 15-day free trial (https://app.covetool.com/register/). This plugin is fully functional during the trial or when you subscribe to a paid plan. I've just recently started creating energy simulations for projects at my job, and with the little experience and knowledge I have in the field creating energy models it was a daunting task. This plugin and the cooresponding web-app was easy to navigate, took no time to learn, and I could use it for all the projects that came though our office. Help-articles are valuable, results and accurate, and they keep adding new features that I didnt know we could even have automated. Everybody in my office is now using it!! Imports complex models without closed rooms! Loving the easy import process. No need to remodel! Quick and Easy to Use ! 1) You can import your building geometry quickly by utilizing the REVIT plugin. 2) It does an awesome job of getting the ballpark value for energy usage intensity for your proposed high performance building. 3) You can also get the possible LEED points for the EAc2 for the proposed building. 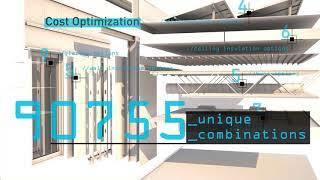 The best easy-to-use automated building performance tool out there!